The Hopus Primeur derives from the Hopus. A new hop is added to the freshly fermented Hopus during an additional brewing phase, called Dry Hopping. During this phase, aromas gradually infuse the cold beer, keeping the new hop. It gives a fresh beer, with complex character, and powerful bitterness. The ceremonial of serving remains the same using 2 glasses: the beer can be drunk with the yeast, or not, according to the consumer’s taste. The new hop is added fresh to the beer. 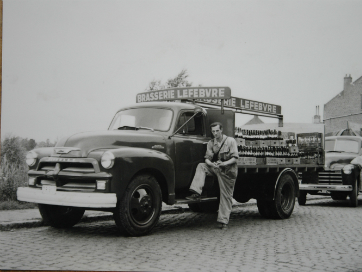 To preserve the richness of the selected hop, we brew the Hopus Primeur from February to May, and we buy a limited quantity of this hop. 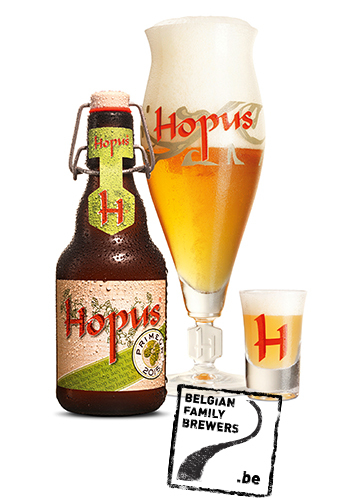 The Hopus Primeur is different every year, as a new hop with other characteristics is selected each year in autumn. A perpetual discovery!